PRODUCT: DRIPLESS ALL STEEL, 10 OZ. 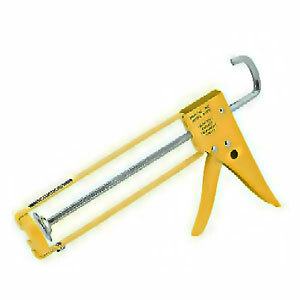 CARTRIDGE, CONTRACTOR GRADE CAULK GUN, SKELETON TYPE. PRICE/EACH. Caulk Tube 12.5 Inch Adjustable Extension Nozzle Pre-assembled With Nylon Washer. Extends From 7 To 12+ Inches. Flexible Design Creates-a-bend, Shorten-or-grows Length Or Stacks Together. Compatible With All Tube Types And Materials. Price/Each.